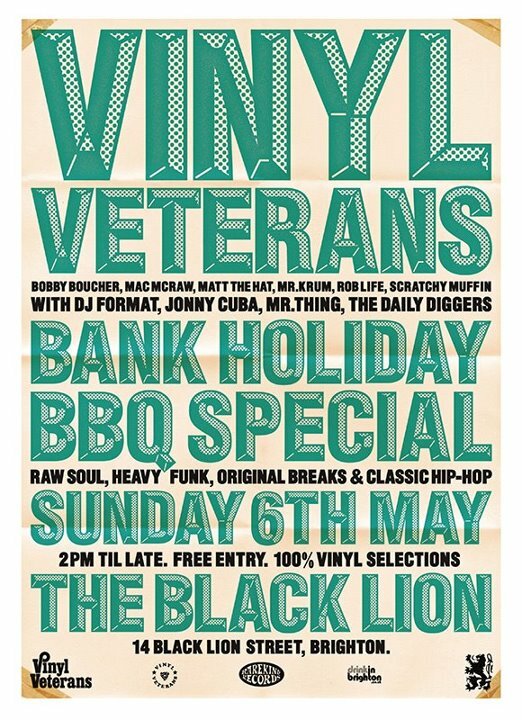 One again it's bank holiday time so if you wanna enjoy your 3-day weekend properly then may I suggest you get down to BRIGHTON this Sunday for the VINYL VETERANS BANK HOLIDAY BBQ special? As the name suggests there will be plenty of beats, breaks and burgers and a strictly vinyl only policy that will satisfy your eardrums. Of course I expect a few BEASTIE BOYS joints to be played so come along and celebrate their music with us and spill some beer for ADAM YAUCH aka MCA. Myself and BEAT DETECTIVE will be making the journey down to the South Coast to enjoy the festivities and drop a selection of our favourite beats (and hopefully yours), so there's no excuses people - get down with the get down! gutted to have missed this, especially as a few of my PWS and TRC brothers made the trip down there... oh well, always next time, eh? !